The Portable Large Meter Tester (PLMT) was designed for periodic accuracy testing of your large field meters to insure that you are billing for accurate usage. Easily transportable from site to site, the tester is a specialized adaptation of the standard FHM meter, incorporating both a high flow meter and a Model 25 bypass meter for measuring low flows. The optional electronic resettable registers on each meter provide rate of flow and totalization. 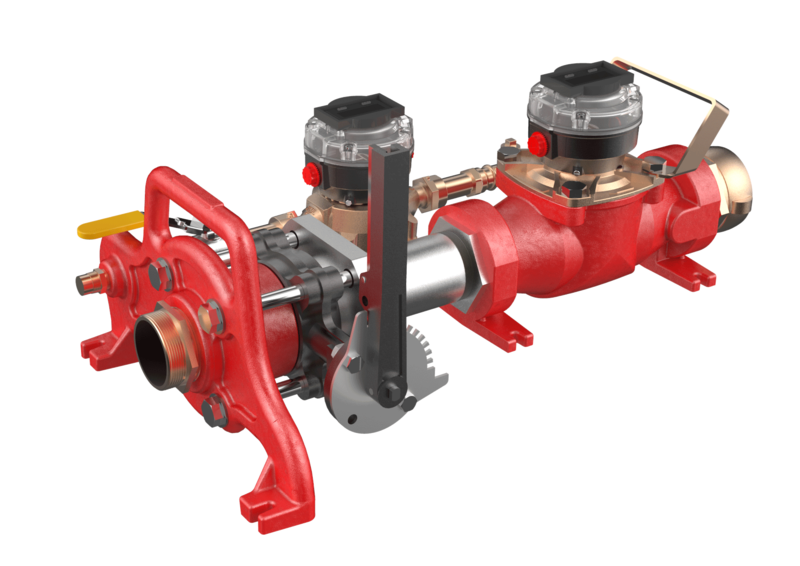 Optional connections are available to meet any hydrant specification.